You won’t be eating these eggs anytime soon but they have many other great uses! 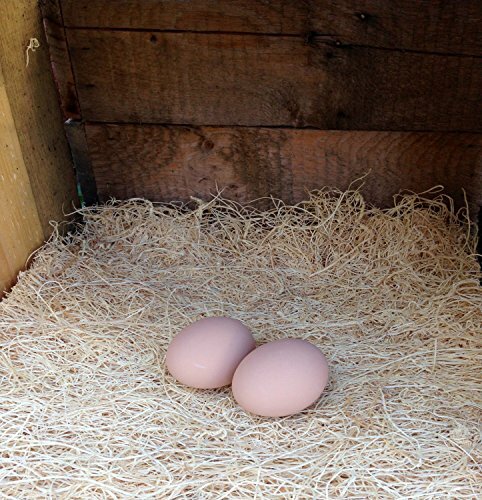 ALWAYS FIND YOUR EGGS: Train your laying hens to always lay their eggs in the right place (i.e. the next box) by placing these ceramic eggs there as a cue. Chickens are good at taking a hint! SAVE THE EGGS! 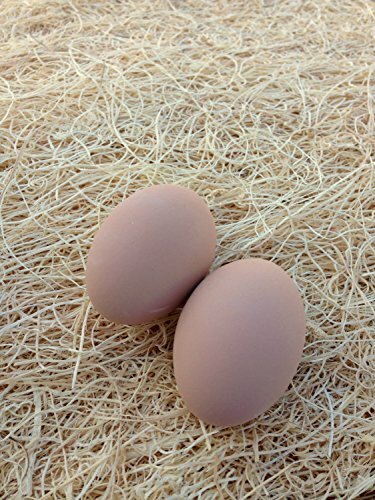 Pecking a fake eggs gets old so you can use this set of dummy eggs to discourage your hens from pecking and eating real eggs. IS SHE REALLY BROODY? Test a hens seriousness about hatching some eggs by using ceramic eggs (they won’t go bad so you don’t have to risk good eggs on the test). NOT JUST FOR THE COOP: Life-like ceramic eggs are also great for home decoration and mess-free craft projects for kids. WHAT’S INCLUDED? 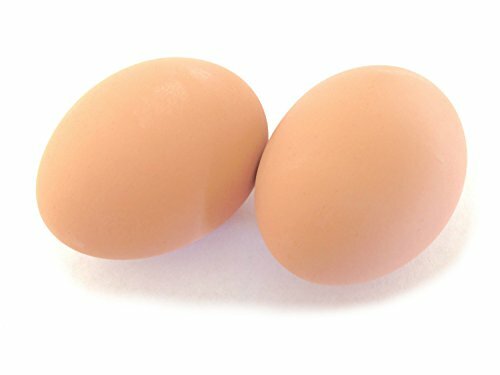 2 brown ceramic eggs (typical chicken sized eggs – Length 2.25 in). Made in the USA.